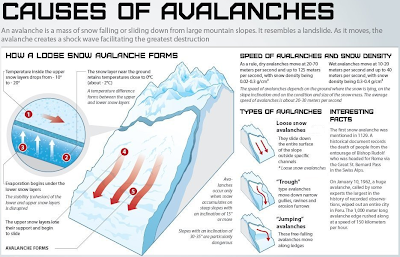 An avalanche is a rapid flow of snow down a slope. A sudden downhill movement of snow. 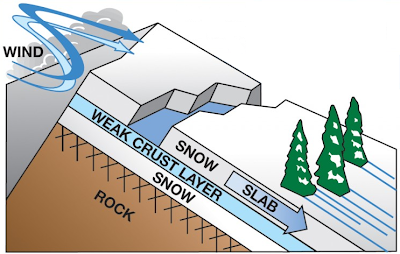 It is a significant hazard to people living in, or visiting, glacial areas. 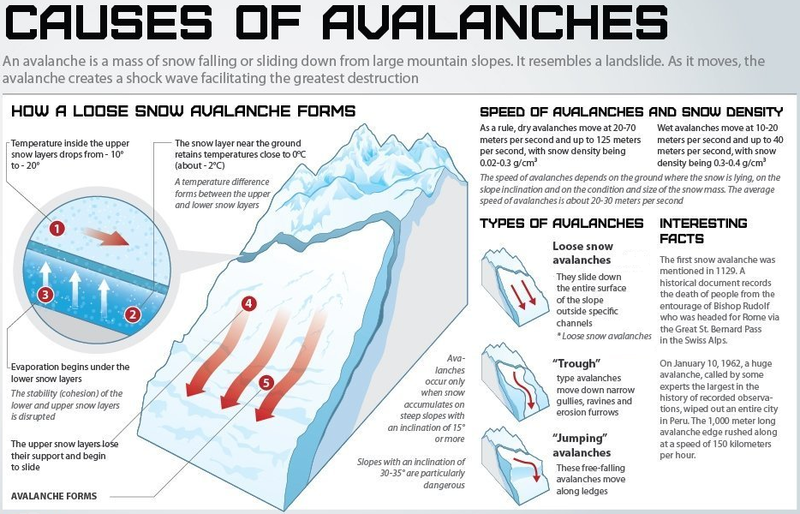 A slab avalanche is the most dangerous form of movement. Avalanches are triggered in a starting zone from a mechanical failure in the snowpack when the forces on the snow exceed its strength.